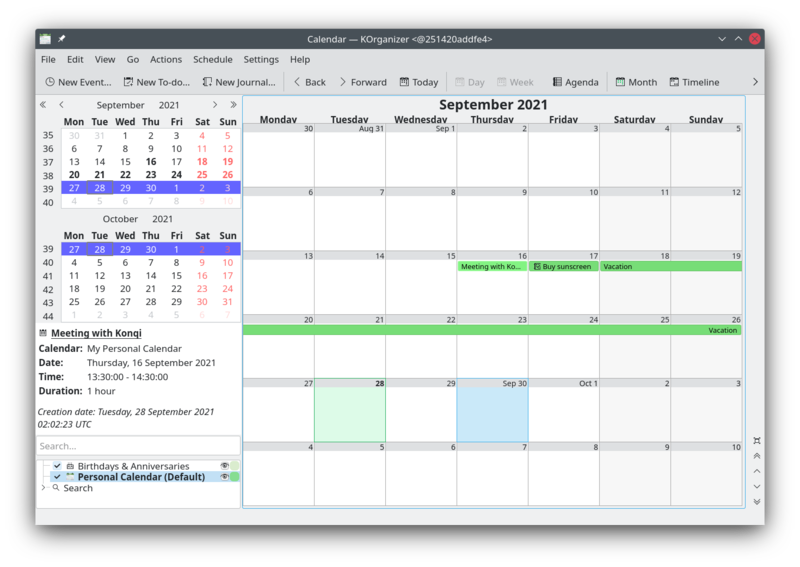 Handle all your emails, calendars and contacts within a single window. Boost your productivity with a feature-rich email application. Organizer your time! Manage events, todos, schedule meetings and more. Stay on top of the news with our RSS reader. 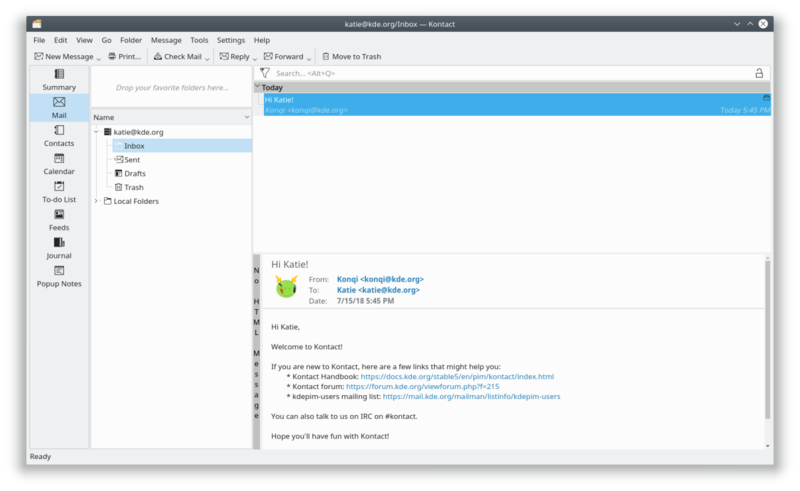 KMail is a state-of-the-art email client that integrates well with widely used email providers like GMail. It provides many tools and features to maximize your productivity and makes working with large email accounts easy and fast. KMail supports a large variety of email protocols - POP3, IMAP, Microsoft Exchange (EWS) and more. KAddressBook allows you to manage your contacts easily. 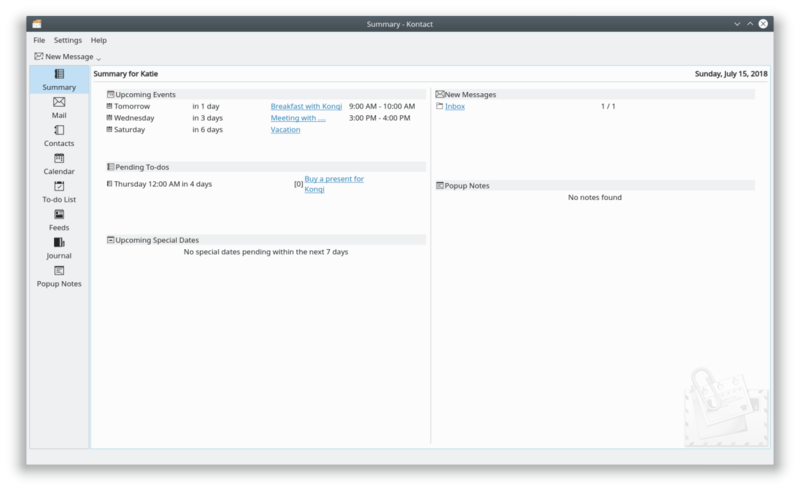 It is deeply integrated with the rest of Kontact, allowing you to easily pick your contacts when sending an email or creating a meeting invitation. 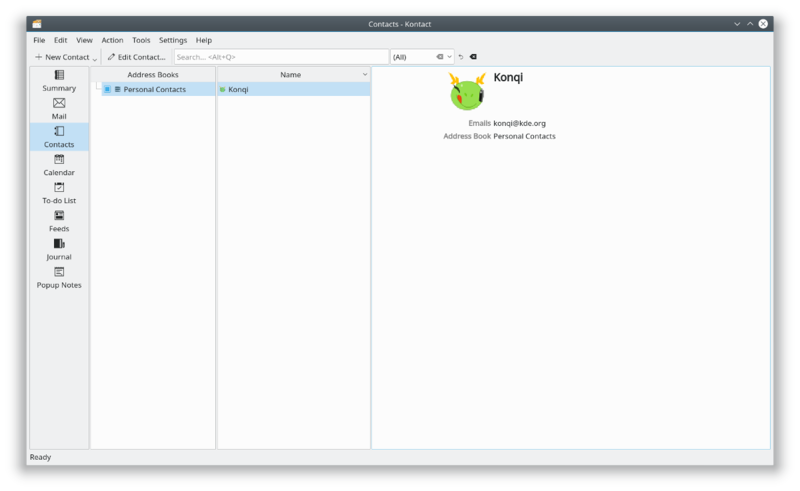 KOrganizer is a powerful and feature-rich organizer, event and todo manager that integrates well with the rest of Kontact, especially with KMail. 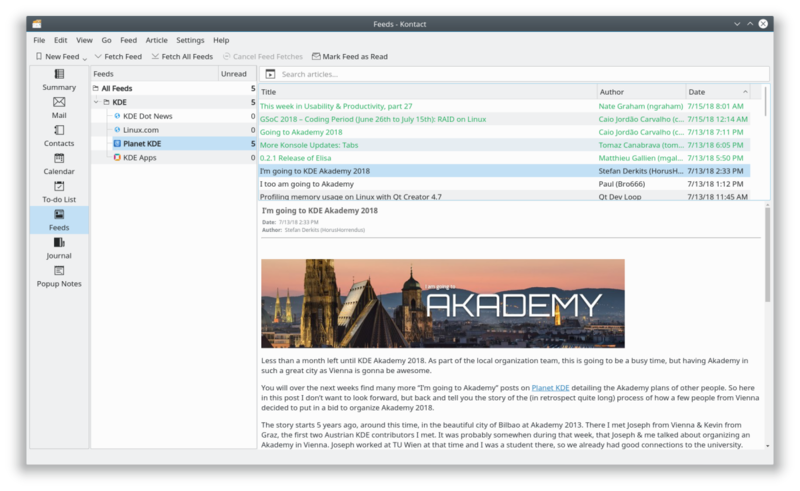 Akregator is an RSS feed reader. It can automatically download RSS feeds from your favorite sites and allows you to read the articles even when you are offline. Also provides rich search functionality and archiving features.